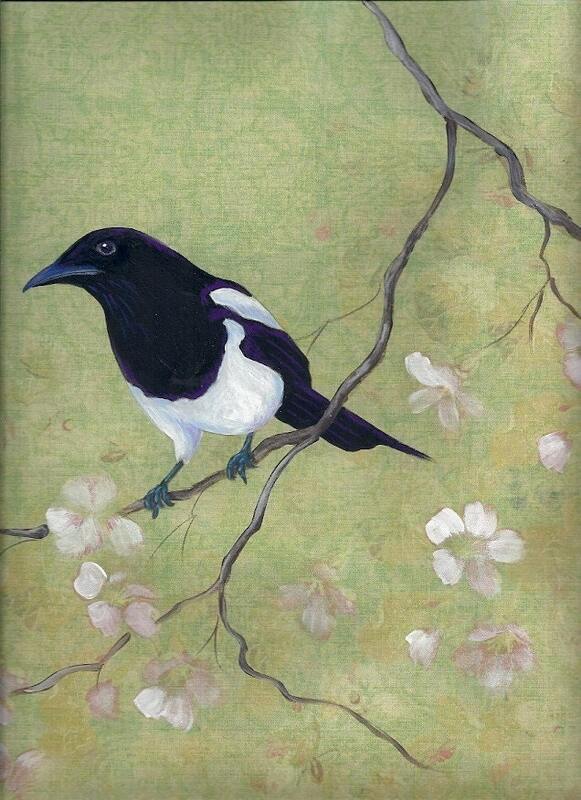 This is my newest addition to my much loved corvid family, a magpie in a flowering dogwood. I painted it with acrylics and colored pencils on patterned scrapbook paper. The card is left blank for your own personal words. Lightning fast shipment, thank you! I really love your cards!!! So lovely! Fast shipping. Thanks!